Where: Meet at at SJRUC. How: Rides will be coordinated at the church. Parent drivers will be required. Please complete the sign up form below. Why: To prepare our teamwork skills for the Jamboree, and best of all to have fun! What: Pack like you are going to the Jamboree (but only for a weekend) Please pack your gear properly in order to allow you to hike into the site while keeping your hands clear for patrol gear. Backpacks will be necessary. Be prepared for any weather as we have been getting a varied set of conditions lately. Uniforms: Wear your 24th Necker on arrival at the church. Uniforms will be required for CJ BUT not for this camp. This will be a fun filled camp following the same format as the upcoming jamboree in Alberta. During this camp we will be able to further familiarize ourselves with working in our patrol units for day to day operations such as making camp, cooking, clean-up and doing so on time to be able to attend the daily activities. We will also be attending a variety of sessions that will help you learn more about life at CJ’13. Bring your questions. We will be meeting at the church at 6pm on Friday to collect gear and arrange transport. Parent drivers to and from the event will be required. 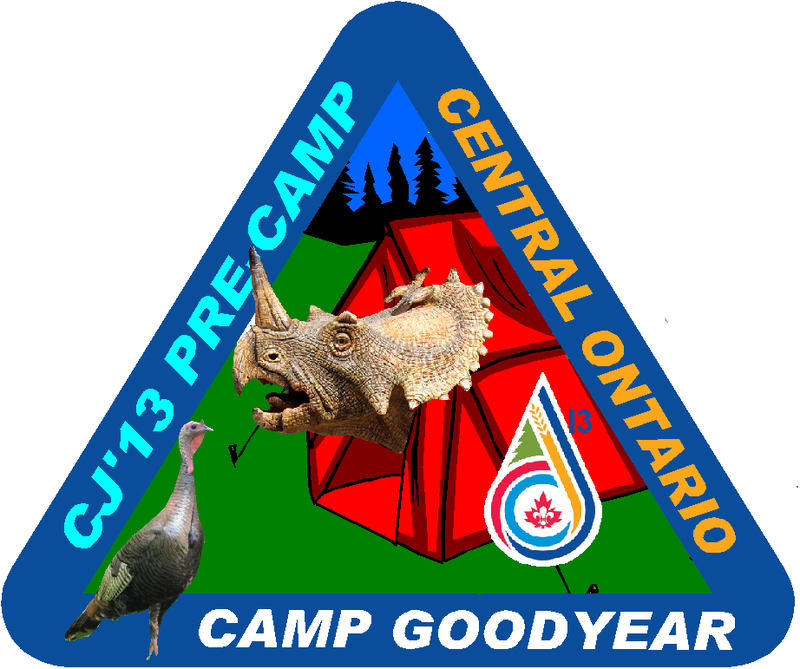 Camp Goodyear is located in Hockley valley North East of Orangeville. From HWY 10 turn east onto Hockley Valley Rd. Proceed East staying on Hockley Valley Rd. past the Y in the road where you can see the Orangeville fairgrounds on the hilltop. The first intersection on the right, past the “Y” is 1st Line East. Camp Goodyear is on the left side of 1st Line East.